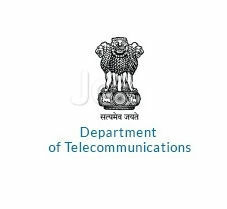 Department of Telecommunications Recruitment Notification 2019.Department of Telecommunications inviting applications for the positions of Junior Telecom Officers, Assistant Director.Interested and Eligible candidates can apply for the positions. 1. Eligibility: Officers working under Central / state Govt./BSNL /MTNL & other PSUs Holding analogous post of Junior Telecom Officer on regular basis in Central/State th Govt in the pay scale ofPB2 with Grade Pay Of Rs.4600 ( As per 6 CPC OR Holding JTO or analogous post in BSNL/MTNL/ITI/TCIL/Any other PSU in the pay scale of 16400-40500 in current IDA scales. 1. Eligibility: Officers working under Central / state Govt. / BSNL/ MTNL/Other PSUs& Holding analogous post of Assistant Director on regular basis in Central/State Govt. in the pay scale of PB2 with Grade Pay of Rs.4800 ( As Per 6 CPC OR Holding SIDE/ sr. SDE or analogous post in BSNL/ MTNL/1T1/TCIL/Any other PSU in the pay scale of 20600-46500/ 24900-50500 in current IDA scale. OR Holding a post inPB2 with GP of4600 in CDA OR holding a post in the pay scale of 16400-40500 in IDA with minimum of 3 years experience in the grade. Age: The age of the applicant shall not exceed 56years as on the closing date Of receipt of application. Scale of Pay: PB-2 Rs. 9300-34800. Job Profile: Service Compliance - CAF Audit, EMR Audit, Service Testing, roll-out obligations etc. Security-Security Audit, CMS, Grey Market detection, etc. Technology- Secured dedicated Communications Network, Time synchronization of Telecom Networks. Disaster Technology/Management. Interconnect Exchange, Inspections of licensee networks, Advocacy and public awareness etc. Rural- Rural connectivity for DBT. verification of USO sites, RF coverage testing/ telecom connectivity checking etc. Admin, Legal, PG and Vigilance - Admin, PG, Building, and Vigilance court cases & Misc admin activities, etc. Office of Sr. DDG, Gujarat LSA, Department of Telecom, 1st floor, P&T Admin Building, Khanpur, Ahmedabad - 380001. The application for the post should reach latest by 15th May 2019 to the Office of Sr. DDG, Gujarat LSA, Department of Telecom, 1st floor, P&T Admin Building, Khanpur, Ahmedabad - 380001.